Working on my Yūki Kawauchi mimic. After Tuesdays 10k and the rest of the week working in Slovenia (including some nasty food poising) my motivation was high. 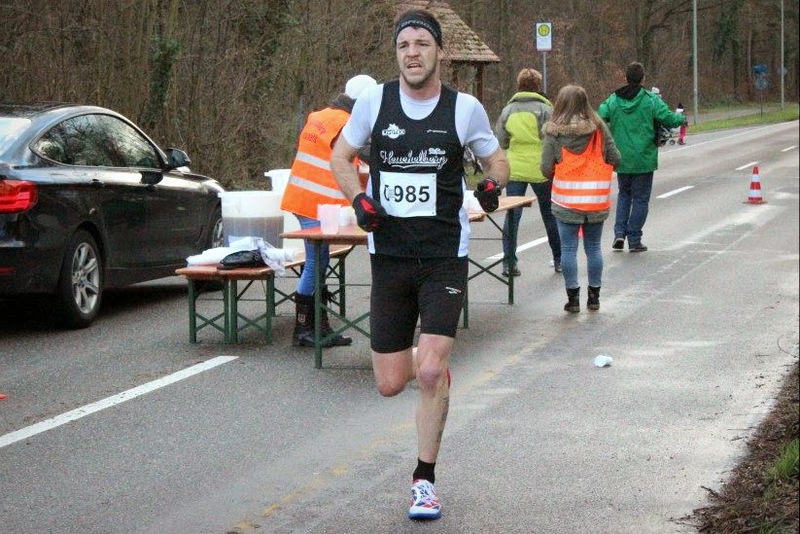 With the 33rd running of the 3-race series, the competition in the south-east of Rhineland-Palatinate is alteady a true classic in the running-schedule. More then 900 racers lined up and a pretty fit field took on the 2-loop course. A pretty hefty breeze shaped a hard-hitting environment and a true draft fest. I got lost in between groups but could get back from a low point at around 11k. 56:48 (Strava) showed the display of the finish-line chronometer, which is OK for the conditions and the recent fitness. solid day of racing. Pretty incredible amount of that get and race there on regular basis. Yeah. There is always a good crowd toeing the line. Winds were crazy. Even more impressive that so many people showed up. Time to come over here for some racing Herr Walsh!